The Champions League Of Professional Drifting has arrived. In 2018, the Drift Masters European Championship aims to become the definitive professional drift organisation in Europe. With a calendar containing Europe’s highest-profile events and a grid of Europe’s most talented drivers, this is the championship drift fans have longingly anticipated for over 10 years. The very best venues, drivers, teams, organisers, promoters, judges, photographers, videographers, track team and livestream producers will work as one united entity to achieve a true world-standard European Championship. Time to get excited? You bet it is! Kazimierz Gorski Stadium is primarily used for football matches and is the current home ground of Wisła Płock. The stadium holds 10,000 people, but was never originally intended as a drift circuit. With drift-specific tarmac laid around the edge of the arena, a dangerous and technical circuit was born. The confines of a stadium create an electric atmosphere and this event is a true spectacle for fans. The best in Europe will face a baptism of fire at our opening round, as immovable concrete walls contain the action. Who will draw first blood? Only the bravest drivers can succeed here. The Rabocsiring circuit in Hungary will prove one of our most challenging events on the calendar. With sweeping bends, high-speed sections and plenty of dangerous elevation changes, this event will push drivers to and beyond their limits. This almost purpose-built drift circuit takes no prisoners and creates an atmosphere like no other venue. Every Hungarian drift event has been incredible spectacle, so expect more memorable moments and heart-stopping action when the DMEC grid go to war once again. Will you be there? It’s Riga baby! 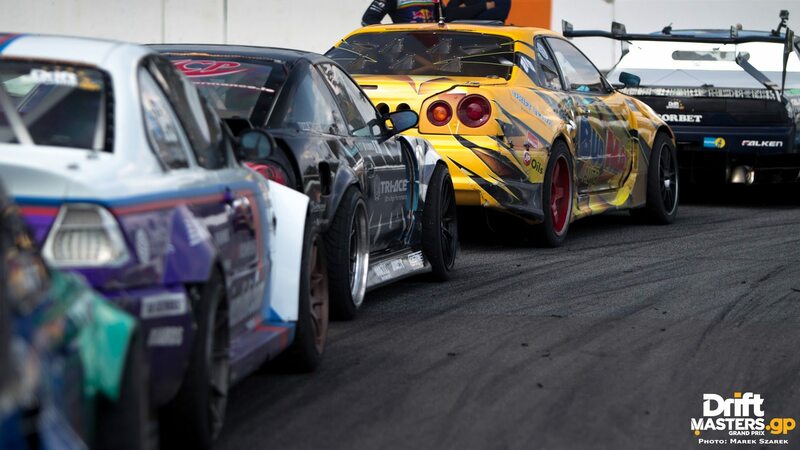 The most infamous drift event in the world returns for 2018 under the Drift Masters European Championship banner. Expect the most extreme full-throttle layout, street parades, after-parties and all the mayhem a drift event should contain. This driver’s favourite combines one of the most extreme layouts in the world, with some of the most passionate and committed fans. If you have never experienced the atmosphere in Riga, you have been missing out. It’s time to get wild this August, as the DMEC circus brings extreme automotive entertainment to Latvia once again. The MotoArena in Toruń is regularly used for motorcycle speedway races and pop concerts. 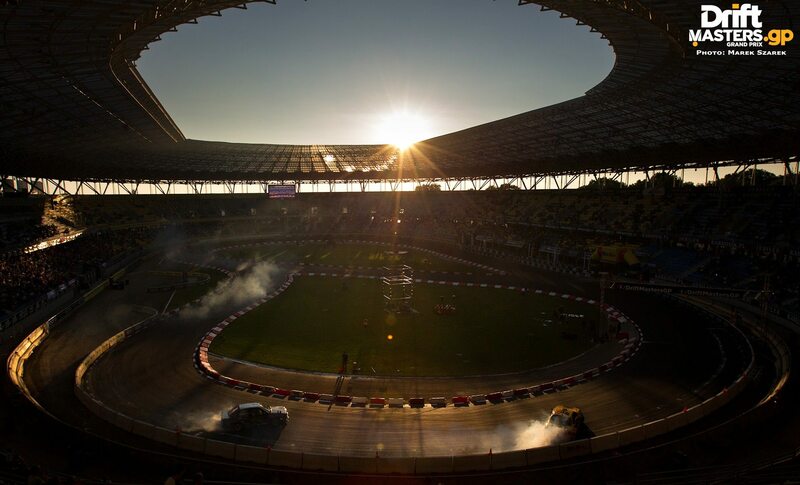 The stadium has a capacity of 15,000 and is not what you would consider an ideal venue for a drift event. The Drift Masters European Championship is dedicated to pushing boundaries and taking the sport in a new direction, so we are laying tarmac over the football pitch and creating our showpiece event of the year. This is the largest and most ambitious production ever attempted in world drifting and we are expecting a record attendance to witness the action. Ground-breaking? Yes. Unmissable? Definitely. 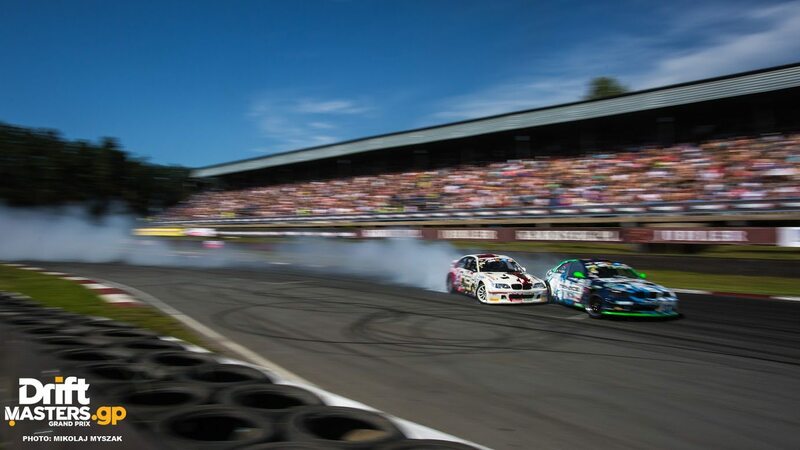 The Drift Masters European Championship is ready to shred tyres on hallowed ground this September, on a circuit that has hosted numerous F1 races since 1970. 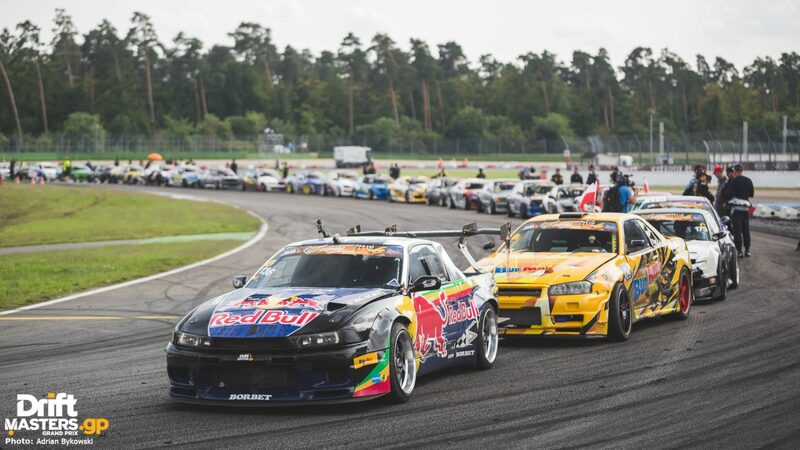 The Hockenheimring only holds the most prestigious motorsport events, so the newest and most exciting discipline, professional drifting, has big expectation resting on it’s shoulders. 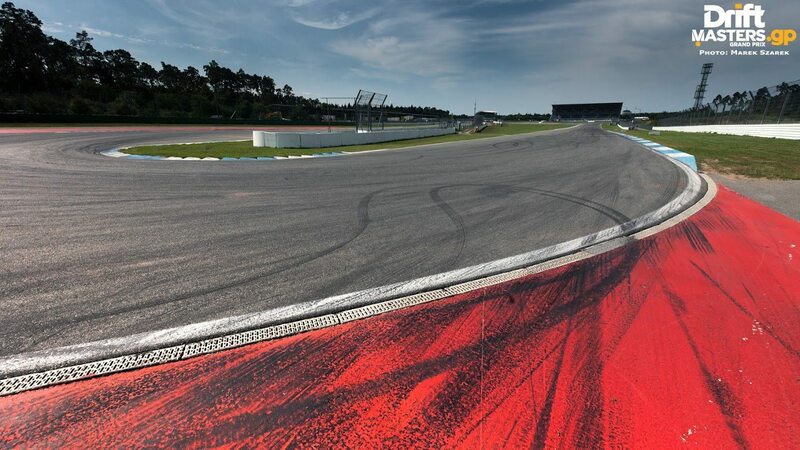 This circuit demands the utmost concentration and driver ability, so expect the action to come thick and fast when the best drivers in Europe hit the tarmac. We are ready to make history this season. Will you be there to witness it? The biggest automotive event in Ireland plays host to our season finale. With the Irish dominating professional drifting in recent years, our European grid will attempt to beat their 15 year undefeated streak on home soil. The Japfest show also attracts over 600 of Ireland’s best Japanese cars, so the attractions off-track will provide a much-needed breather from the on-track insanity. With an expected attendance of over 15,000 fans, this event will become an all out war for our €20,000 championship prize fund. Who will be crowned champion? Place your bets now. The risks must always match the reward, and as our drivers will be pushing the limits to become the true European champion there is something else motivating their on-track aggression. Successful Drift Masters European championship drivers will take home a combined prize-fund of €60,000, the biggest in all European drift competitions. Things just got interesting. DMEC is dedicated to the mission of bringing fans the greatest drift events on earth, and that claim is reinforced by our incredibly ambitious season plan for the 2018 season. The best drivers performing on track, the best back-room team producing the show, and the best media personnel promoting the action to an international audience. This is what every European fan of professional drifting has been waiting for. The time for this sport to shine, is NOW. With our 50 strong driver grid now confirmed, stay tuned to our web and social media channels in the coming weeks to find out which incredible contenders have accepted the challenge. 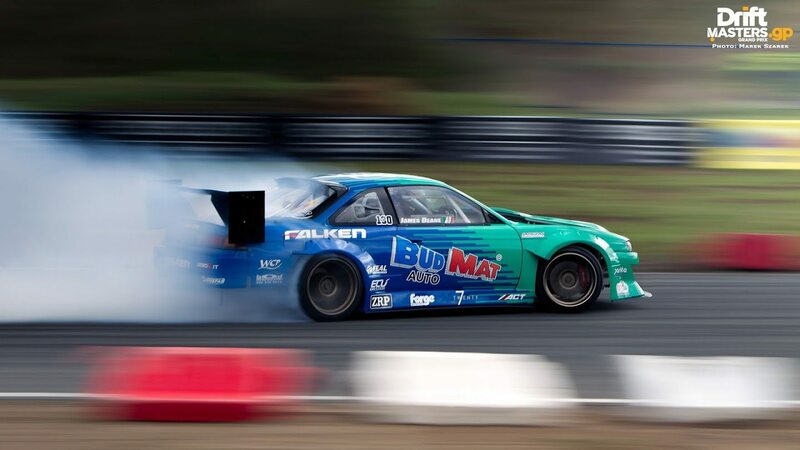 All Drift Masters European Championship event ticket and schedule information to follow.